Every now and then you see people talking about the high rates of cannabis use among young people, however, some recent cannabis research is disproving stereotypes about who uses cannabis most. A new study eliminated one of the most common assumptions that cannabis is consumed mainly by young people. New statistics have shown that the number of middle-aged or older adults consuming cannabis has increased rapidly in the last decade. In the study published in the Drug and Alcohol Dependence, researchers analyzed data from the National Survey on Drug Use and Health, more specifically the rates of cannabis use among people over 50 years old. Researchers looked at survey responses from 17,608 adults 50 years old or older. As a result of the investigation, they identified a significant trend. 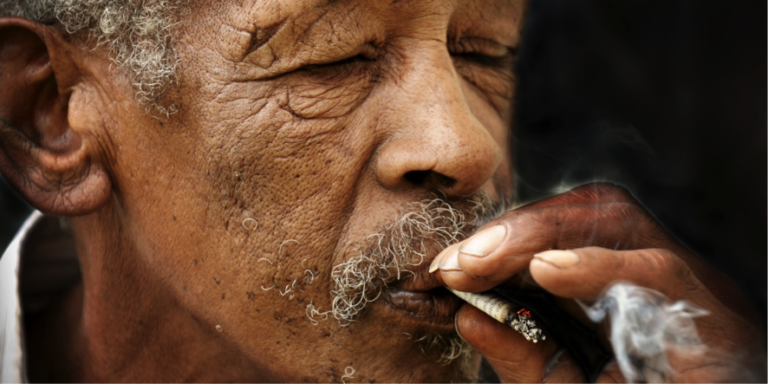 They discovered that rates of cannabis use among middle-aged and seniors have doubled in recent years. The analyzed data shows that 9% of people from ages 50-64 use marijuana from 2015-2016. The rates cannabis use among people who were 65 and older increased to 2.9%. While the trend among people in 50+ bracket is increasingly using more cannabis, the trend among young adults is quite the opposite. Some researchers have devoted their efforts to studying how this legalization affected young people. In most of these studies, researchers conclude that legalization doesn’t increase the rates of marijuana use among teens. A study published in August from the Journal of Adolescent Health concluded that the presence of nearby medical marijuana dispensaries did not increase teens susceptibility to use cannabis. According to the study’s findings, neither proximity nor price was a factor that could make young adults more susceptible to use marijuana. Other recent studies have found that teen cannabis use has decreased in California in the past years. This trend continued even after recreational cannabis was legalized in California early this year. Only 4.2% of 7th graders reported that they had consumed cannabis at some point between 2015 and 2017. That shows a 47 percent% from the last survey when 7.9% of 7th graders said they had used marijuana from 2013 to 2015. There’s an abundance of recent studies that have debunked the idea that the legalization of cannabis would increase the use among the population. In fact, a 2017 study reported that teen cannabis use in Colorado has decreased since marijuana was legalized. If the trend follows as it is, it is very likely that the number of middle-aged adults overcomes the number of young adults who consume more cannabis. As for now, it seems like the older people are keen to break some stereotypes there are about marijuana users.